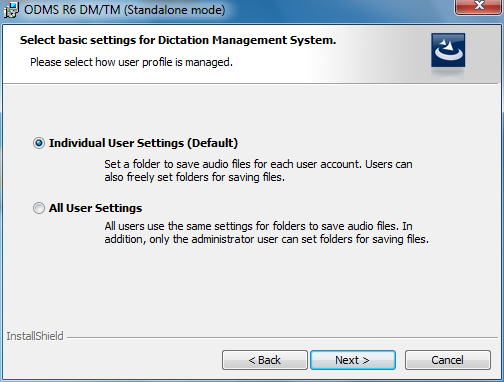 Olympus Dictation Management System or ODMS is the latest software to be shipped with the Professional Olympus digital dictaphones (DS-7000/DS-3500) and digital transcription kit (AS-7000). 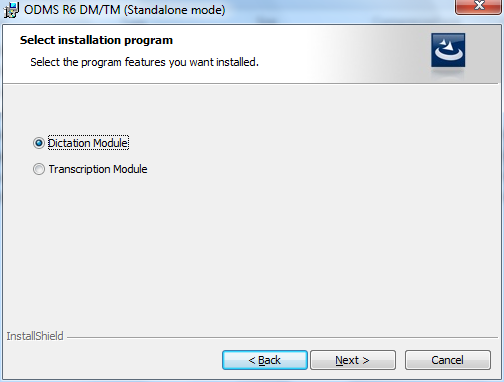 ODMS R6 replaces the well known DSS Player Pro series dictation/transcription module software which made it to R5. 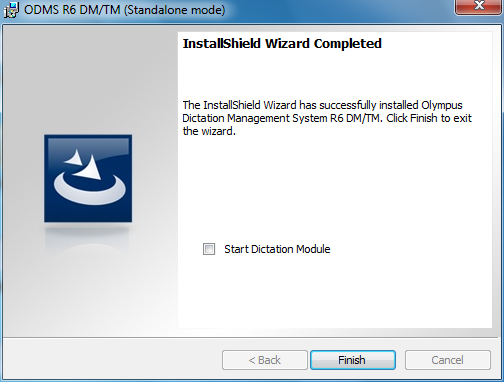 Just like DSS Player Pro, ODMS has the ability to be installed, standalone, on a Windows PC in trial mode. This will give you 60 days of full functionality of either the dictation module, transcription module or both. Yes you can convert .ds2 audio files to .dss for free during the 60 day trial. Those of you with DSS Player Pro R5 this is a great way to have a look at the new software. Just a warning though, DO NOT install ODMS on a PC with DSS Player Pro – it will remove your DSS Player Pro and replace it with ODMS. Not a problem if you plan to buy a licence during or at the end of your 60 days. 1. Unzip the file you just downloaded. You can unzip the file anywhere on your PC, I suggest the Desktop where it is easy to find. 2. 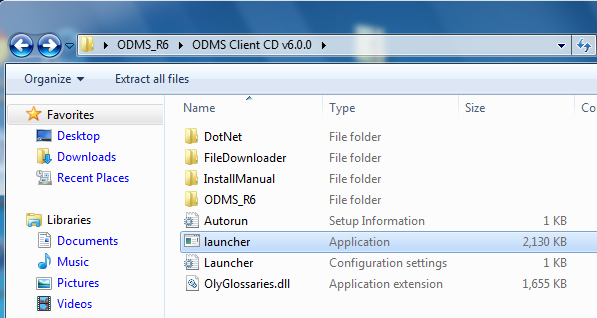 Navigate into the unzipped folder and look for the application (not the config settings) file called launcher which will be in the ODMS Client CD v6.x.x folder (depending on the version number). Double click on launcher to start the install. 3. 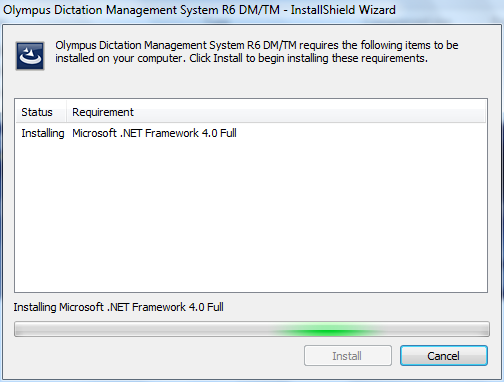 The installation of ODMS requires Microsoft .Net 4.0 to be installed. The installer will check if you have the correct version, if not it will be installed for you. From ODMS v6.4 if you like what you see then you can buy and enter a licence key during the trial. Prior to v6.4 the licence key could only be entered when the trial period had ended. End Of Financial Year Sale – $100 off Olympus DS/AS-7000 Bundle !! Is it possible to download a trial of the ODMS Administrative software? I’d like to see how it is going to work for our organization. Admin software is not available as a trial. You would only use the admin software to administer multi user licences (MUL). MULs are concurrent use licences, whereas out of the box ODMS dictation and transcription module software is single install. 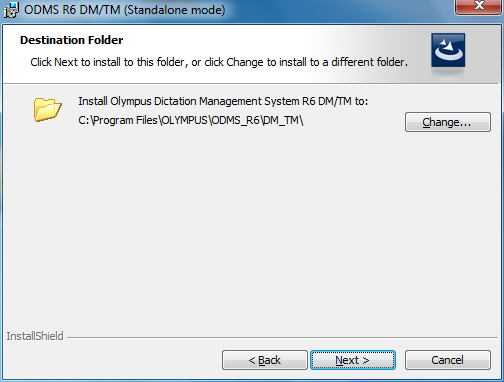 If I have multiple off-site offices/clients using Olympus ODMS dictation modules, would I use the admin software to: 1) program their digital recorders and, 2) to send their dictations to specific folders on my FTP server? That’s what I’m looking for — a workflow management software. I am currently using your Olympus free 60 day trial for the transcription module. Everything is working so far except, and most importantly, my foot pedal. the one I have is one I purchased some years ago and came with the OLYMPUS AS-4000 kit. so the new trial software is not recognising my foot pedal, and as such, I cannot use it. Which SETTINGS do I need to change to be able to use my foot pedal, as it is very important time-wise for me. ODMS R6 works with only two Olympus USB foot pedals, the new RS-31 and the older RS-28. The AS-4000 transcription kit from long ago came with both the RS-26 (no longer supported) and the RS-28 depending on when you bought it. Flip your existing pedal over and on the bottom or along the side you will see its RS number. If you have an RS-26 you will need to buy a new pedal (RS-31 or RS-28), if you have an RS-28 then it will work. Let me know which pedal you have. Thanks so much for your prompt reply. Unfortunately I have an RS-26, so that is why my foot pedal does not work with the new Olympus transcribing software. Can you pls tell me where in Sydney (Australia) I can purchase the right foot pedal? I hope that helps. As you are in Australia, if you have more questions or would like a chat about transcription you can give us a call on 1300 787 092 option 2. Apologies for the delay replying I was checking some facts with my Olympus contacts. Yes using ODMS R6 Admin you will be able to configure both dictation and transcription modules so you can point to your FTP server and make recorder updates. You will need to get your individual single install licences converted to multi user. You Olympus Pro reseller can do this for you, here in Australia I do not charge for this service. You supply your licence numbers and they will work with Olympus to convert them to a single MUL, one for dictation and one for transcription. How very nice of you! I will email you. Thank you. HI there, We have the ODMS R6 with an old foot pedal (rs24) so after upgrading the software the foot pedal no longer works. Reading the previous posts, it looks like we need to buy a new pedal. With the previous versions of the software there was a licence for the dictation module and a licence for the transcription module. I can only find the licence for the dictation module. Could you let me know if the one licence now installs both the transcription and dictation module or should we have two licences? I don’t use the product myself, but after the install I only see the dictation module. Thanks for dropping by and for your comment. Wow yes the RS-24 is quite old and you are correct is not compatible with the new ODMS R6 transcription module software, only the RS-28 and the new RS-31 pedals are compatible. ODMS is still the same as the old DSS PLayer Pro in that they have separate licences, one for dictation module and one for transcription module. You can tell from your licence key by looking at the second letter, T denotes a transcription module key and D denotes the dictation module. 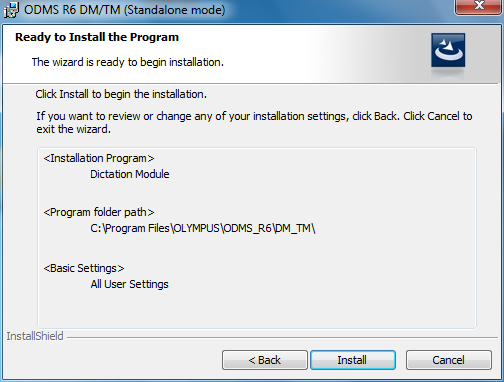 Both can use the same installer disk but the key defines which software is installed. So for example if you key starts RD6 then you have a dictation module key. Thanks heaps for the prompt and informative response. We will have to buy a new pedal and hunt around for the transcription licence which has gone missing! No problem Karen, yes it happens often, everything from Olympus can be replaced except the original software licence key so it is very important. Also, if you are running the trial version of ODMS you won’t be able to enter a valid licence key until the trial has expired after 60 days. I downloaded the trial version but I have a universal Infinity foot pedal. From reading the posts above, I have to buy an Olympus foot pedal to TRY the software. Again, If its a trial it should be compatible with other foot pedals to TRY the software. Any insight on this? Thank you for your comment. The Olympus software can be used with a foot pedal (RS28 or RS31), with the hand controller RS31 or using hot keys. So you can try the software but you will need to use the hot keys. Olympus make professional transcription and dictation software, they also make their own pedals so do not need to complicate things by supporting third party pedals. Hi, I am from South Africa and being a transcriber I have always used Express Scribe with a foot pedal – no problem. Problem now: one of my clients is working on Olympus ODMS R6 which he bought for me and installed it on my computer. Unfortunately there is no Olympus foot pedal. I really do not have finances to buy a new foot pedal (have 4 different ones already) and as such I cannot transcribe his work. The foot pedal I currently use is something from VEC. Any suggestions of how to convert? i am using the ds-4000 and it works well. holding off upgrading to the 7000 series for now. what’s the difference between dss player v6 and this odms r6? I understand that this is no longer being sold, however, we have our license for the DSS Player Plus and the attorney I work for had previously purchased it has recently bought a new computer. We have not been able to transfer or re-install the software because we cannot find our install disc. In this regard, I have installed the newest model for him on his computer and it’s only a two-week trial. If I were to give you our license number for the purchase of the DS-5000id model, would we be able to keep the upgrade which I installed on the computer at no additional cost? The software supplied with the DS/AS-5000 which is DSS Player Pro R5 is now out of support by Olympus, but you should still be able to use it on another PC as long as it is Windows 7 or below, R5 is not compatible with Windows 8 and above. The important thing is the licence key which you have, I can email you a link to download the CD. Please email me at dave@dictate.com.au and I can organise that for you. I assume you mean the difference between DSS Player Pro R5 and ODMS R6? 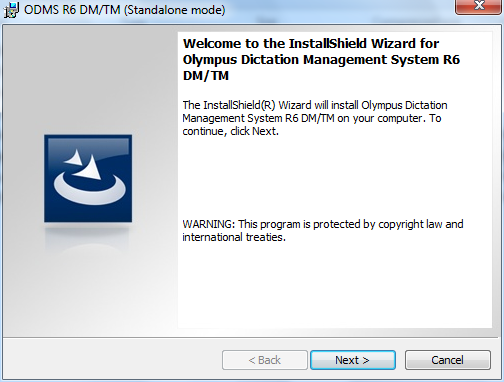 ODMS (Olympus Dictation Management System) is the new name for DSS Player Pro used from version 6 onwards. Both R5 and R6 look very similar and you would be hard pressed to notice any difference. There are a few functional changes such as higher encryption, support for newer Olympus models and much much better integration with Dragon NaturallySpeaking voice recognition software. Hold onto your DS-4000 as long as you can. As you would have seen you get many many years of use out of these excellent digital dictaphones. A couple of things, when your client installed ODMS on your PC did they install the dictation module or the transcription module? If you are not sure, when you run the software do you get a splash screen which is bright orange (transcription) or bright green (dictation)? Another way to check is to run Help the About. if the licence key displayed starts with the letters RT6 it is transcription module, if RD6 it is dictation. 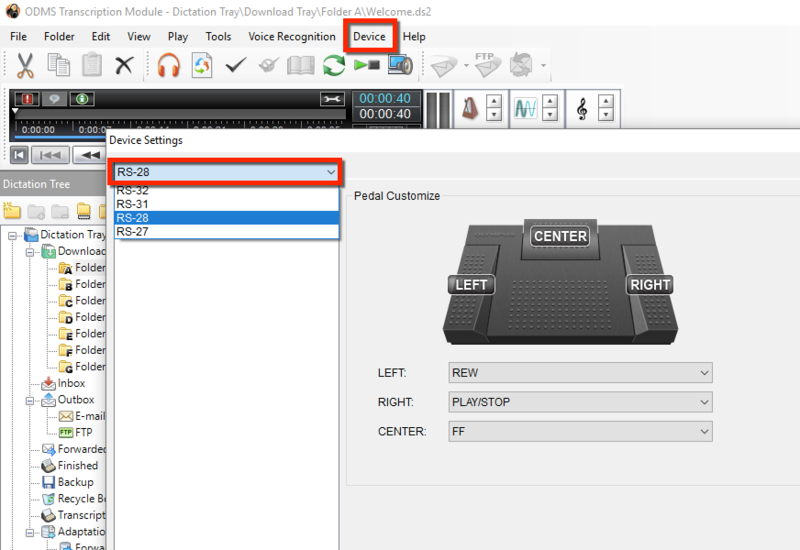 If you have the dictation module you will not be able to use the software for transcription. If you have the transcription module then you will need either an RS-28 or RS-31 foot pedal or you can use hot keys to stop/play/rewind. The cost of a pedal is relatively low and as an essential for a transcriber is a necessary business expense, just like the PC, . I’ve been working with dss player version 7 and foot pedal RS26, however am now receiving ds2 files which it can’t play. I have therefore purchased a new RS28 foot pedal and tried to install an update to the software so that I can play ds2 files, but it says the serial (licence? ) number I’ve been using up to now is not valid. Do I really need to buy a new licence or is there a version of dss player I can install that will play ds2 files? Thanks. DSS Player v7 for Mac will play .ds2 files and is compatible with the RS-28 and RS-31 pedal. Email me directly dave@dictate.com.au and I will help you out. Just wanted to say a huge thank you to whoever spoke with me in the Live Chat today while I was trying to sort out my transcription needs. Really appreciate being forwarded to the free trial download to buy me some time until my kit arrives. Thank you for your positive feedback. Yes the ODMS free trial is very handy to get up and running quickly while waiting for your kit to be delivered. Glad we could help. I have completed the 60 day trial and my university has purchased license key for me. But when I open the software it says I need “administrator privileges” to enter the code. I don’t understand this as it is my laptop. Do you know what I should do please? 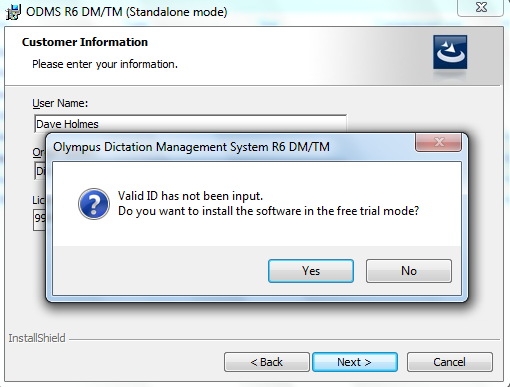 We can’t seem to locate the disk when we purchased Olympus transcription software. My computer was replaced this week, so the software is sitting on the old computer. In the event we need to repurchase, what is the cost for just the software – we have the pedal and headphones. 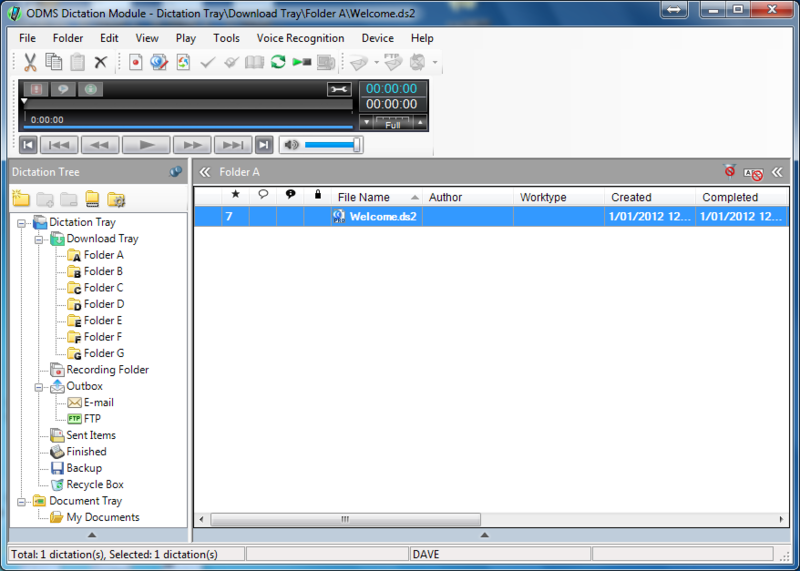 I’ve replaced my computer, and have installed the CD for Dictation without the license ID (in trial version). I have since located my original License ID number. Can I enter this License number while in the trial version? 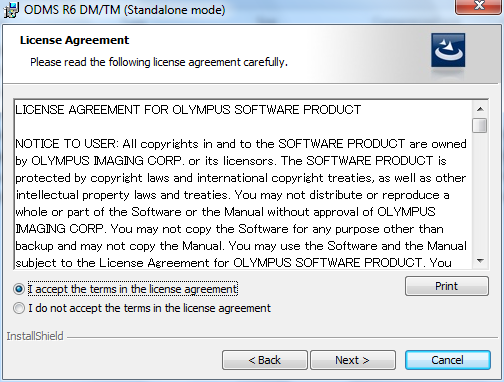 Should I uninstalled / re-install software and enter the license when prompted? Thanks for dropping by and leaving a comment. Yes if you have the latest version of ODMS version 6 installed you should be able to enter your licence key at any time during the trial or you can wait until it expires when it will prompt you for your key. 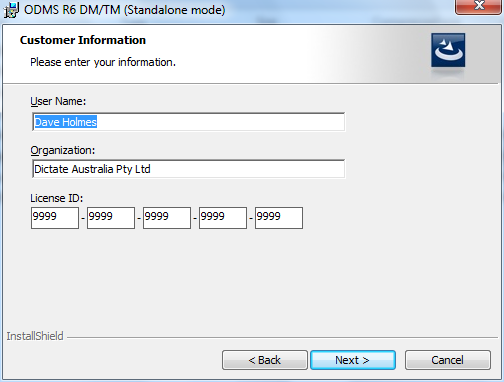 If you have installed the older R5 version called DSS Player Pro then no you will need to wait for the trial to expire. ODMS R6 licence keys start with RT6xx for transcription module and RD6xx for dictation module. DSS Player Pro R5 licence keys start with RT5xx for transcription module and RD5xx for dictation module. We’re looking at getting some hardware and software for a site, but would like to know if theres any cloud storage capabilities in the software currenlty or upcoming roadmap? Anything else you could recommend otherwise? I have a client with multiple PCs without a server at this point – is this a supported scenario? I would like to use cloud storage if possible to negate the need for additional infrastructure on site. 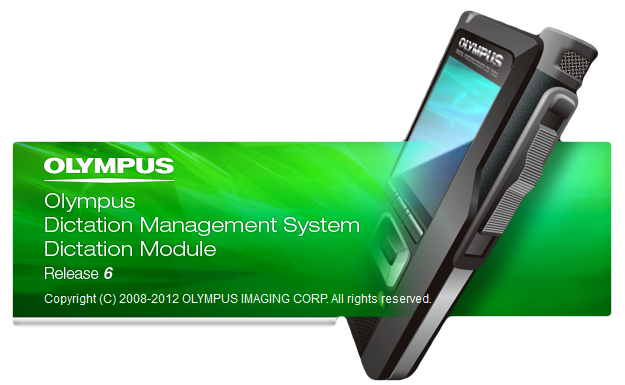 Thanks for leaving a comment on our blog regarding Olympus ODMS software and Olympus hardware. For dictation and your client with multiple PCs you have a couple of options. You can use a physical dictaphone like the Olympus DS-7000 kit which comes with the recorder, cradle, software and single install software licence. Or you can buy an ODDS (Olympus Digital Dictation Service) yearly subscription licence and use the Olympus Dictation app for smartphones. The physical recorder and app can be used together also, physical in office and app out of office, or you could even just use the app alone. Regardless of what you use they both create .ds2 digital audio files which can be encrypted and either emailed or dropped on an FTP server for the typists to pick up. If you are trying to minimise infrastructure then the app is a good way to go, we can set your client up on a 60 day free trial of the smartphone app to see how they like it. For transcription you would need an Olympus AS-7000 transcription kit. The kit contains software, single install licence, USB foot control and transcription headset. The transcription software can be configured to scan incoming email for dictation, a shared network folder or FTP site folder. Dictation is auto loaded and the typist alerted. The transcription side of things you will need some physical hardware, the foot pedal is preferred by most transcription typists. You ask about cloud storage. The ds2 audio files created by the dictation devices is a highly compressed format developed by Olympus, Philips and Grundig. The audio files are designed to be small but without loss of audio quality to allow quick and easy transfer across the internet. You can utilise cloud services such as Dropbox to store these files or simply email them. That certainly helps for now – would be keen to see what else happens in the complete Cloud solution arena in medium sized working environments. Just a general query: if you have the dictation module of ODMS (and therefore can’t transcribe) is this then exactly the same as the ‘Olympus Sonority’ software that comes with lots of other Olympus dictaphones? In other words, is it just simply a file management piece of software that doesn’t interact with Dragon? Thanks for your question. There are a couple of key differences between the two. Dictation Module : Designed for use with dictaphones, therefore will allow you to play .dss and .ds2 audio. ODMS has the ability to also encrypt the audio, essential for the medical/legal audio generally created with the dictaphones. There is also automation which will detect when the device is connected, usually via a dock, will download the audio and send it to its destination. That destination maybe a network drive, FTP server or email address. And yes as you have commented there is integration between ODMS and Dragon profiles to facilitate automatic voice to text. Sonority : This generally comes with the music recorders and is solely designed to allow you to edit audio. No automation, no encryption, no Dragon. Thanks so much for that information, Dave. On the subject of Voice-to-Text in the Dictation Module, does this mean that you could use your dictaphone to dictate directly into ODMS via Dragon (rather than using a Dragon Headset microphone and bringing up the Dragon toolbar)? Or am I misunderstanding? Is there a trial version for Mac? Unfortunately not, just Windows currently. If you have some specific questions please let us know. Hi Dave, I have just started the 60 day trial and I have the RS28 foot pedal (just bought it this week). The foot pedal is not working though. Can you suggest what I might be doing wrong? Thank you! Ps, I downloaded the transcribe and not the dictate version. Thanks again, it is very reassuring to know someone is out there that’s willing to help. Many thanks! Happy to help any time. “The audio device to play the dictation cannot be found”. If after upgrading you are still having issues please let us know.